The red eyes really kill me. Why not use black like the original? The Intent is not be like the original . Plus, Megaman can have red ears when firing from the stairs (half of the ears in red). When on game play you barely note the face in red, in general it looks like dark lines (dark red lines). Of course, you have the right to dislike it. I was wondering if you could fix Rock and Roll a bit? Their eyes seem to have cataracts. 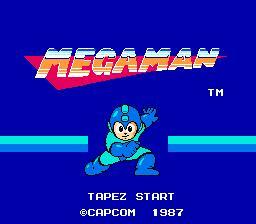 Also, could you have used the JP version with Megaman on the titlescreen get a redux, too? The Rock and Roll eyes was a fail atempt to do something new... I will fix it. 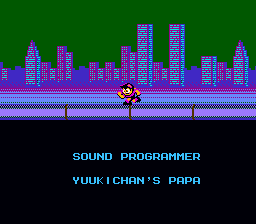 I prefer doing the hack in the US version, first because is the version i have played since childhood, and second for the spare tiles (all the tiles of the big megaman from title screen are there to reuse on the select stage screen). I already have used some tiles to modify the boxes around the boses in the select stage screen. So, it will be it. That's a cool Trevor Belmont sprite that you made. I think that would be a good improvement as well. The dark brown is much more agreeable to me over the red for the eyes and mouth. I will evaluate the gains and losses of both choices for the color of the mouth and eyes (if brown or red / purple ) to make a decision. I to feel thet brown look better, however, very dark ( almost black ), and does not give an appearance of " more colorful " to the character. Using red seems that the face has a more balanced color ramp , giving the feeling that the face is more colorful, and make it more colorful is the intention of the hack. I actually like the red and orange face myself. 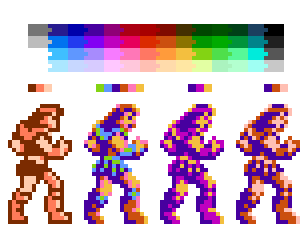 I feel like the brown line and original light skin is way to close to the original palette for a redux. He also looks anemic compared to for example the JP box art, but then again he's a robot. Well, I'll keep the red/orange face, just because it's more colorful. Roll design heavily inspired by Roll Chan Hacks, my way to say: "Thanks Zynk". And thanks every one! You helped me a lot doing improvments in the hack. Last day in vacation, I think i'm done with this hack, soon it will be sent to database. 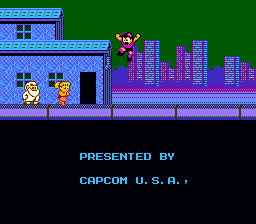 Hope to start another Redux hack, maybe Castlevania 1, but first I have to end 2 original game projets of mine (see my blog if you want to know about it). Awesome! That was fast, I'm looking forward to playing this. Congrats on this really great looking hack!